Neighbors | Submitted.Pictured are members of the "P.Y.T." routine, from left, Chloe Simmerman, Jenna Chmelik, Riley Burke, Mackenzie Mackall, Madeline Krasnasky, Maggie Carrier, Molly Burke and Joellen Mrofchak. 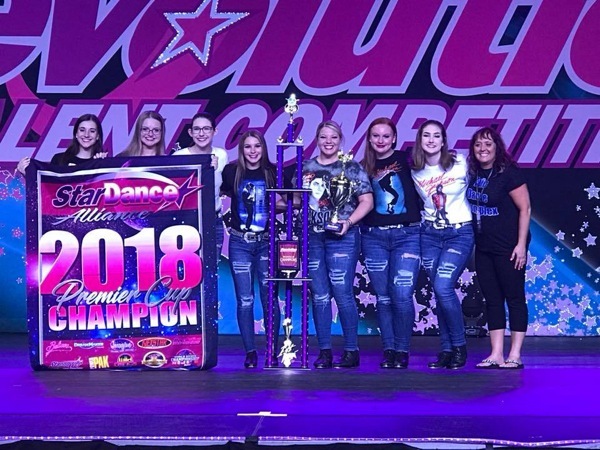 The group won second overall and earned a spot to re-compete in Revolution’s “Battle of the Champions.” They came from behind to win first place overall, and brought home the prestigious Premier Cup.